Give a gourmet gift of wine and snacks you know will make someone smile. This gift arrives with a delicious variety of dried fruits, savory mixed nuts, premium white cheddar cheese, and sea salt water crackers. 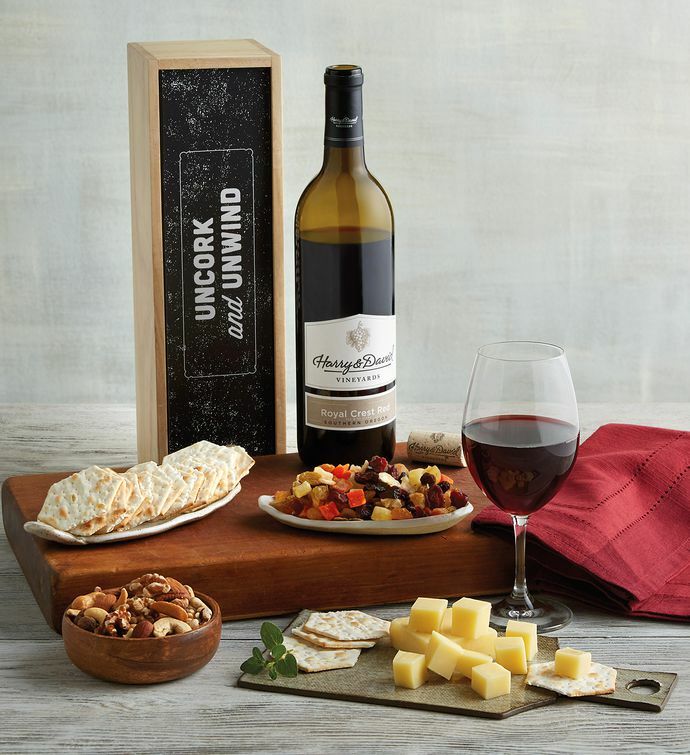 Inside a wooden crate with a chalkboard lid and the words "uncork and unwind" is a bottle of exceptional 2015 Harry & David™ Royal Crest Red.